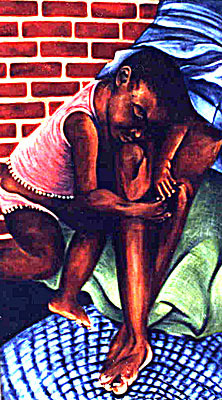 Bernadette Calnon-Buote, Child and Mother,oil on canvas, 18" x48" (1994). 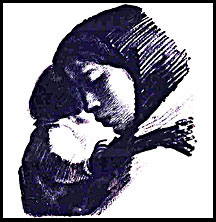 Sikkai Hansen, Mother and Child,lithograph, 24' x 28"' (1974). Who can forget the attitude of mothering? to blink I'll catch her, sling him on a hip.